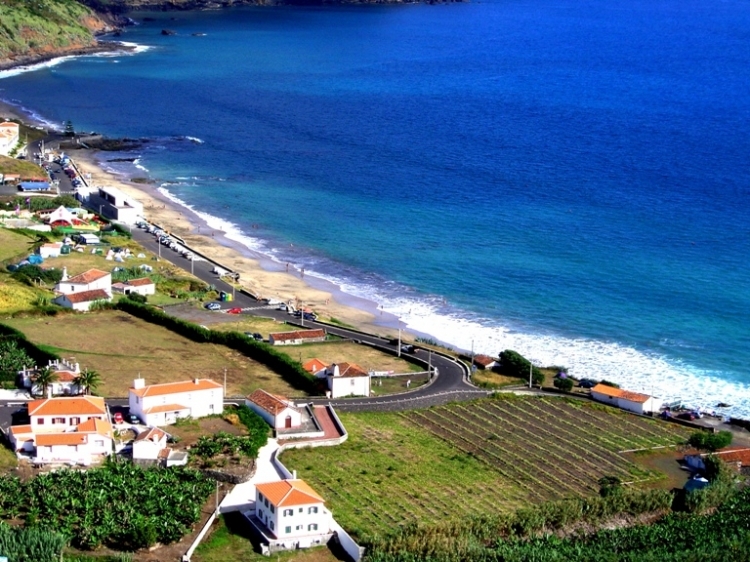 Known as the Yellow Island, Santa Maria presents with two completely different areas, flattened area and low coast to the west, where the airport is located and the houses of Vila do Porto, and the other is a more rugged area with lush green, finding the mass of the High Peak, a volcanic structure that offers a panoramic view indistinguishable. Rising sea floor, Santa Maria has a distinctive landscape both by geological characteristics as the natural erosion processes that were changing these landscapes, between new appearances of land that shaped over the years, there is one that stands out, the Barreiro’s pout with an undulating surface and different shades between the reddish coloring to bright orange, arid look and clayey nature, giving the name of “red desert”. In the pit of the quarry, the Red Peak, features a color tone, and the old town of quarry stone extraction, that nature has allowed the emergence of a body of water at the base, developing a unique landscape, pure witness autorregenerador paper in nature. 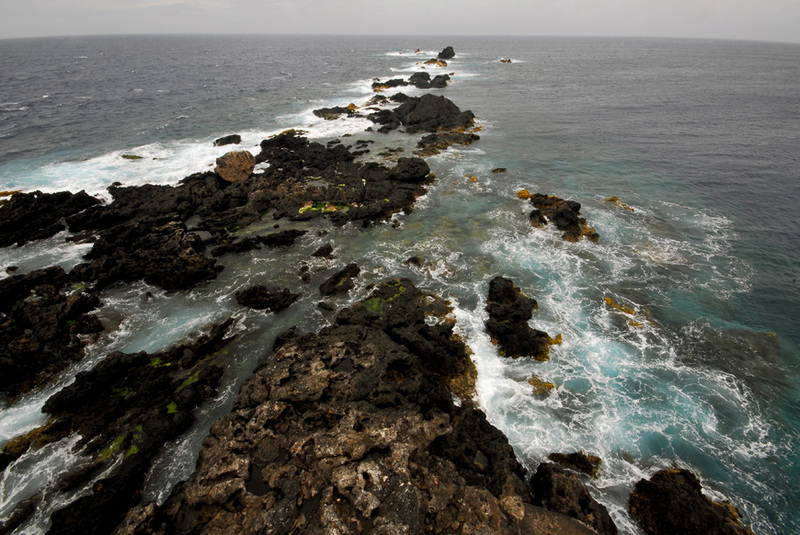 A small outcrop of undersea volcanic tuff appear in their yellow tint in the Bay of Hoists, being the oldest geological formation of Santa Maria and the Azores. However, the idiosyncrasy of volcanic forms is Ribeira Maloás, where the prismatic disjunction in ancient basaltic lava drained exposes himself with a wall of “catchphrases lava”, recalling the “Causeway Giants.” The grandeur of the landscape reaches its peak in Aveiro Cascade, a waterfall 110 meters high, or in Castle Point, with the towering Goncalo Velho Lighthouse, a sentry. As the oldest island of the Azores, it records the oscillations of sea level since the beginning of the Atlantic Ocean, in its volcanic and sedimentary rocks, observed in the field quarry, where a basaltic drained formed under the ocean and limestone, houses numerous fossils of marine organisms, including seashells, corals and algae, which attest to the geological reality of this island, there are about five million years. In other places they were also found fossils of marine organisms that populated the neighboring seas of the island, like shark teeth, sponges, sea urchins, sea, various types of shells and even bones of cetaceans, and can be viewed Environmental Centre Dalberto Pombo and in the center of Port Vila. Santa Maria is cut by high rocky headlands and wide bays of calm water, call for their awe as the bays of Cré, Raposo and Tagarete. 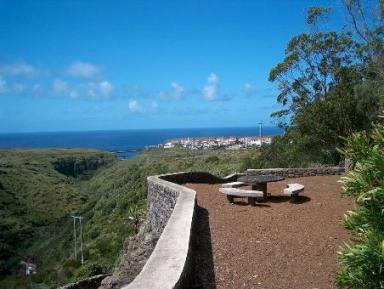 In St. Lawrence, the islet of Romeiro is complemented by the graciousness of human presence in the coming quarters galgam the slope, the white of the houses near the sea and farmland cut up the land, possible to observe the Espigão Viewpoint. 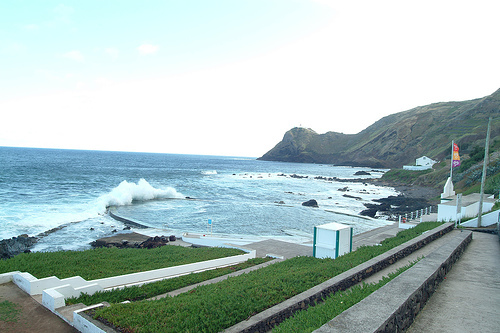 In the Praia Formosa, its white sands are fed by the whitish sedimentary rock, justifying the epithet “the clearest beaches of the Azores.” The coastline is under constant watch by the ruins of Fort St. John the Baptist, which is the green passage of the bay that lets embrace the blue Atlantic. Looking isolation, small pebble beaches of Figueiral and Bay of Wolves and the beaches of Prainha and South are the most recommended. Already the volcanic nature of the island could shape natural pools in Maia and Anjos, who have infrastructure to support bathing. 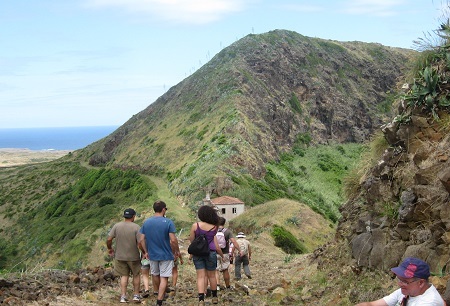 Recreational Forest Reserve of Fontinhas – on the west slope of the High Peak, the highest elevation of Santa Maria, a central mountain system. 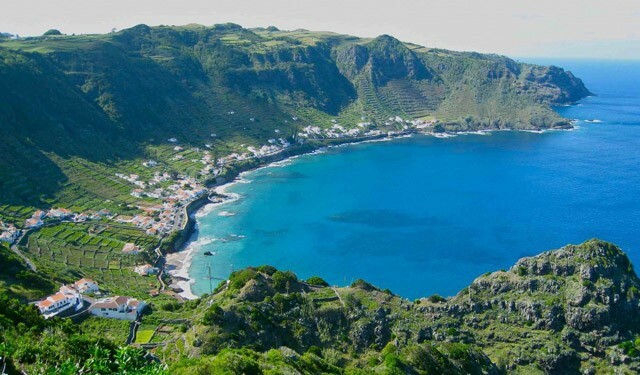 Formosa Beach – a popular beach made of white sand and is quite rare in the Azores. Natural Park of Santa Maria – their creation stemmed need for conservation of biological and geological singularities of Santa Maria, thus preserving the paleontological heritage, unique in the archipelago, which has 13 land and sea areas, classified in five protected areas categories Park among some islanders, because of its underwater wealth and are nurseries for many marine birds with unique landscapes present the geological history of Santa Maria and fossiliferous deposits of international interest. Valverde Recreational Forest Reserve – almost as an urban park of Vila do Porto, within walking distance that separates this village and the strong anthropic character which it contains. 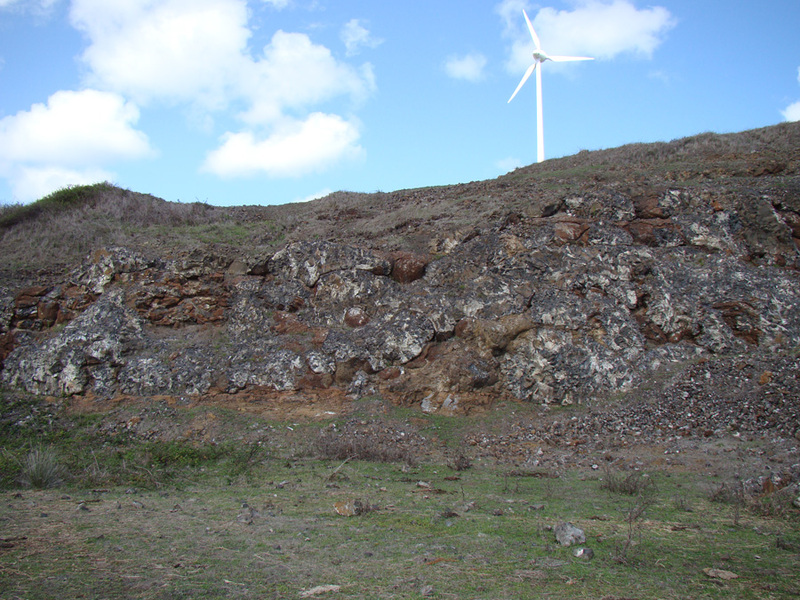 Pedreira do Campo – a wall of pillow lavas, this is proof that Santa Maria was submerged there are thousands of years ago. Bay São Lourenço – shaped amphitheater, this is surrounded by vineyards cultivated in terraces, with a beach and natural pools. Maia – a bathing area consisting of a natural saltwater pool, with infrastructure support, and you could see the Farol da Maia, which dominates the landscape.